It all started with the fact that I sold my yacht, which I loved and considered it almost ideal for use in local races and short trips. The reason for this step was that I dreamed of buying that yacht that would allow me to travel around the countries and the seas. Agree that Ukraine and its water and yacht infrastructure are, to put it mildly, limited. Not to mention the legal field. The yachtsman is told there are two dreams. The first is to sell the yacht. The second is to buy one that is forever. I did not have a question to buy a sailing yacht or a motor yacht. I have been sick for a long time with a windy illness. In the sense of sailing. And to travel on the present, it is possible only under a sail which releases from dependence of fuel. Sailing yachts are built taking into account the storm conditions. It must have a self-correcting quality. Ie from any position, even having turned 180 degrees, is obliged to make the next 180 degrees to rectification. This is one of the main qualities that seamen call – seaworthiness. And so, I sold the yacht in the spring and all summer and autumn I spent at the computer. Of course, I had limitations on the price and size of the yacht. I set myself the task of finding a yacht at least ten meters long, three meters wide, with a steering wheel and sails at least fifty square meters. At a price, it had to fit into the budget of fifteen thousand euros. The first attempts of my research of the market showed that at such prices in these sizes it is possible to find a yacht only in the seventies. In Turkey, Croatia, Greece, I did not find anything decent. There was an attempt to buy a 38-foot yacht in Fenik (Turkey), but with my careful inspection, I realized that the yacht required a major repair. So my gaze fell on the Northern market of used yachts. 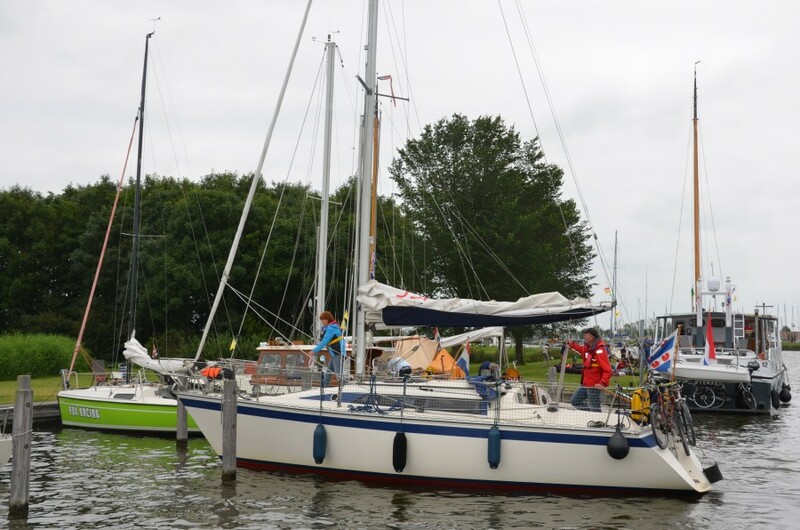 In Sweden, I found a wonderful yacht “Bestrem 31” 1976 y.p., the condition is excellent. But while I was issuing a visa … The owner refused to take the prepayment by bank transfer. One of the sad features of communication with the “bourgeois” countries. The Swedes have a cautious attitude towards the Slavic countries. How I explored the market. In second place in terms of accessibility is the dear, old England. But here to find a yacht in decent condition for a budget price, it is very difficult. The English sell yachts are usually very “not clean” and are not very pleasant. I’m talking about budget yachts. In Sweden, you will be pleasantly surprised by the condition of the yacht, but there is a clear threshold for the size-price of the yacht. Up to nine meters of the seventies, you can find a yacht up to 10 – 12 thousand euros. And, of course, you can not expect to buy a well-known brand. At best, popular, but not elite. For example, you can buy “Albin Vega” within ten thousand euros. Very popular brand. But the size of the yacht did not fit into the idea of ​​my dream. Its dimensions are 8.25 long and 2.45 wide. The bundle attracted. New sails. Teak deck. Electric windlass anchor windlass. New sheet winches from a well-known manufacturer. But that is not all! There was a brand new diesel Vetus with a new shaft and a screw! In the interior the interior is updated, LED lighting. And a lot of interesting things to add. And all this for 9500 euros. But there was one, it seemed to me a flaw. The yacht had a tiller. And I dreamed about the steering wheel and the central cockpit. She also had some hard-to-fix trivia. Well, what of it! Everyone knows that if the dream is strong – it comes true. Here was everything I dreamed of. Heavy, five and a half tons. With glass rims, long nasal and stern overhangs. New sails, new spray. Central cockpit, aft cabin. A deep draft spoke of good seaworthiness. Of the disadvantages – an old diesel, which however, absolutely working. And low habitability. In the presence of seven berths, four or five can actually travel in a yacht. A comfortable three. It suited me. The yacht was valued at 16,000 euros. I got a discount in the bargaining process and in addition five sacks. Execution of purchase and sale. 2. Extract from the register on de-registration. 3. Invoice and certificate of transfer of property. Here my broker put her hands on her head and said that she would never again sell a yacht to a Russian. To my remark that I waved her hand from Ukraine and said that there was no difference between them! But the prepayment was paid by me to the bank and the “machine” of the sale was still launched. The broker made a request to the register. The help cost 55 euros. I took the document to the notary. Another 150 euros. All this money had to be paid to me, since the certificates were boring to me. By spring, I received documents and a yacht, which stood on the keelblocks and was waiting for its new owner. I had a school level of English (Below). And a great experience of playing in “show-off”, where words need to be shown with gestures. Of course, you need to learn the language. Since traveling is not only communication with the sea and yacht. In marinas and ports you will not only stand and prepare for the next transfer, but also communicate with neighbors in the parking lot. And this communication is valuable and no less important than buying a yacht. I will never forget the incident that happened to me at the port of Bangkok. I flew on about. Phuket to participate in the stretch of the sailing yacht. Then I did not know the language at all. I had a one-way ticket, and therefore I was refused a visa on arrival in Bancock. I said “official” – “Aye know how!” Ai gou tu Phuket “This concludes my knowledge of the language. I wanted to say that I do not have a visa and I’m moving in transit. But they did not understand me. Since “know” means to know. Ie in their heard it was understood as – “I know the visa.” I spent almost 24 hours in the port. My plane flew without me and I miraculously settled those difficulties that are worth one correct phrase in English. Before buying a yacht I learned the language not only during the day, but also at night. Woke up and took a self-instruction manual. Strangely enough, but at night remembering difficult words was especially easy. The biggest. What buyers are afraid of is osmosis (blisters). The phenomenon of corrosion of plastic. Stratification of the structure of the plastic, when water penetrates into the pores of the structure. I carefully studied this question and the more I got to the point, the less I was afraid of this terrible word – “osmosis”. Yes, this phenomenon visits almost all yachts older than thirty in one way or another. But there are anti-osmotic technologies that allow you to forget about osmosis as a minium for ten or more years. This is laborious work, but nevertheless it is effective. 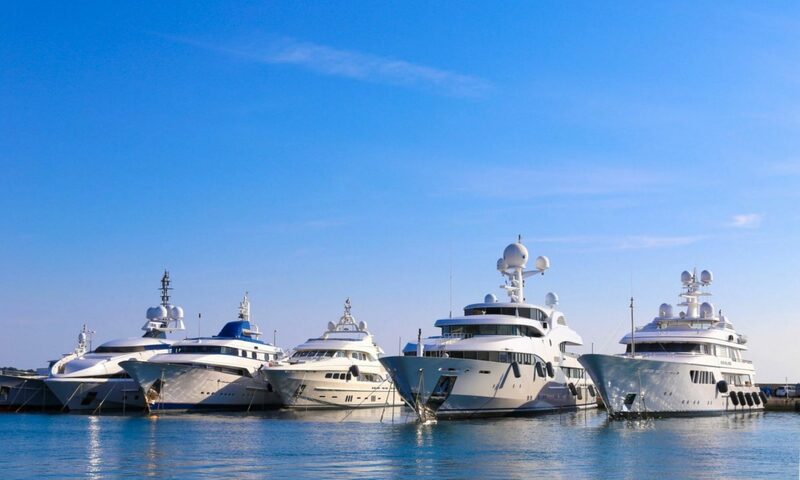 Yes, there are yachts that are not subject to treatment. But they are always visible even to a professional. I would pay attention, first of all to the molding of the deck to the hull of the yacht. On the rigging and deck, which is usually done by sandwich technology. On the keel bolts and leaks of the deck and deadwood. On shturrosy and electrical supply. And, of course, diesel. He paid close attention. You need to look at the smoke. What color is he? Gray, dark. Does it disappear after warming up? When gas transmission does not appear? Does it take oil? Ask questions. As a rule, the seller responds honestly to them. Yes. He can, or do not finish telling. But if you asked him, he will answer without hiding. They are so Dutch. The broker is responsible for the correctness of the information that you provide. Therefore, ask for answers to your questions. Make out everything in the contract, and if that does not work from the declared worker, you can safely make a claim to the broker. He is obliged to fix everything at his own expense. And so, you are the owner of the yacht. Do not forget, you need insurance. Better KASKO, but at least “from damage to third parties” Dutch insurance companies, as soon as they learned that the yacht is going to Ukraine, refused insurance. But if you say that the yacht will be on the territory of the Netherlands, there will be another conversation with you and the yacht will be insured at prices much lower than the insurance Ukrainian or Russian companies will offer. However, hardly anyone will ask you for insurance. And only if you keep a yacht in a Dutch marina in the winter, a yacht without insurance will not be taken for safekeeping. You are the owner and the captain all rolled into one. You need to decide on the philosophy of using the yacht. Toli it will be a dacha in Holland. And you can travel through the canals and go to the North Sea. Or it will be a yacht for extra long journeys. And you can walk to neighboring countries and cross the seas and oceans. If you bought a yacht with an unlimited area of ​​navigation, you have unlimited possibilities of use. You can keep the yacht in any pleasant silent noiseless marina of Holland. And do sally-travel through canals and lakes. If you are limited on time leave. Have two weeks, this option is most suitable for you. Fishing and visiting lovely, quiet towns, walking along the embankments, eating oysters and absorbing beer. This is a holiday option of using the yacht. But here a good alternative would be to buy a motor yacht or moto seychelle. It combines the qualities of a sailing and motor yacht. 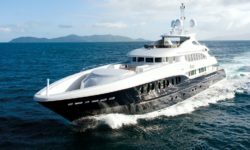 If you have the opportunity to stay on a yacht for a month or more and you are keen on traveling around the country, you can purchase a yacht for travel. You need a yacht with a strong hull, good diesel and sufficient habitation. Pay attention to a good spar, there should be a twist of the staysail, a sprayhead, an anchor winch (windlass). You can move from port to port in the coastal part of the seas. Cross borders of states, drawing up corresponding documents for this from the emigration service. In the marinas you will be charged for parking. In Holland, this is basically 10 -20 euros for a 10m yacht. As a rule, you will receive a service. Water in the hose at the yacht, power supply. In the marina there is always a shower, toilet, laundry. Wifi is always available and is almost always included in the parking fee. Moving to sea will be relatively safe for you in favorable weather conditions. Since you can always get a weather forecast and wait out the weather in the marina. Usually transitions between marines within the limits of light day and night transitions do not assume. And so, you understand that choosing a yacht, you choose a way of life! The image that you have to check and experience before making a purchasing decision. Here I would recommend to be like a charter yacht. Participate in maritime practical expeditions. Longer in time to live on a yacht that would apply the yacht life to yourself. Not always what you drew in the imagination looking at the computer monitor, coincides with reality. A yacht is a mono emotion. Yacht, this is a permanent engineering presence. However, there will be dawns, which you will not see in the city. There will also be those emotions in which you want to scream with delight, arms outstretched and looking into the sky. But this is very individual. Therefore, test your desire for a real sail in the real sea. Finally I fly. The plane carries me to my dream, to the country of fairy tales and water. I am flying to Holland. There, not far from the cozy and nice city of Amsterdam is my yacht. This winter I bought it, and spent the rest of the winter in road chores and waiting for a meeting. The plane flew over Germany and got into a storm. We were thrown to the sides, both from ruptures of shells. I’m sure everyone who was in the salon prayed. And maybe not only those who were in the cabin. And in the cockpit, I think the same. I sat by the porthole and looked at the wing. I do not understand why it did not fall off that shaking. They landed in Dortmund. I have almost fifty kilo in my backpacks and a huge bag. After the plane I have to get on the train and make three transplants. So only representatives of the Slavic countries can go. And now a meeting with my beautiful. A friend met me in the car and threw me into the marina. There you have to walk with a kilometer. With my cargo, I would perish like a German at Stalingrad. Then I realized what was wrong. When I arrived, there was a real storm. The wind whistles in the cables, the standing in the row of the yacht produces uterine sounds. Advertising flags clapped like crackers under the tree. The air temperature is slightly more than ten degrees. And this is in the middle of June! I sent out warm things in a parcel and froze like a bobik in a booth. The drizzling rain was finishing the picture of sadness and longing. In the yacht, a light glove box, reminded me that I had to work from morning till night for a month, so as to bring the yacht in order. In general, my mood aspired to drop below the waterline and hardly ever when it rises higher. And then I remembered that I had taken medicine with all my troubles. When I was packing my backpacks, I thought about taking a bottle of vodka with me. But this thought I sent, as very heavy. In the literal sense of the word. Putting the bottle on the scales, I realized that it was impossible. But then, I found the jar presented to me by someone then. Its capacity was three hundred grams, and a compromise was found. And here I sit in the cabin of the yacht, the wind howls, it’s cold and damp. He made tea and ate Dutch cheese. In five minutes I scanned my mood. What a psychophysiologically positive thing this vodka! Undoubtedly, my mood seemed above the waterline and steadily rose to the deck. I had a glass with a capacity of ten grams and it brought with every overturning more and more positive. Well, what you need to glue the skeg! And the autopilot is not an issue. Depth sounder I will buy in the store and install. Behishtag and bucksthagi !? Nonsense! I’ll fix another glass and a solar battery. Where can I buy? It does not matter, everything is formed and materialized. This positive liquid was enough for me for three days. And then I got into work. Rise to five. Prayer, coffee and work. I even began to like my existence. I have nothing to talk with, I’m talking to each other. The yacht began to look exactly the one I dreamed of. While luggage with my tools did not come, I varnished the wooden parts of the cockpit. I installed the autopilot. The skeg and the wing of the keel were smoothed. Prepared them for gluing fiberglass. I bought a depth gauge. Suddenly, I began to notice that I was doing it all with a great buzz for the soul and a bit for the body. My yacht is thirty nine years old. The former owner bought new sails before selling. Twist the sails, painted the sides. The heater “Webasto”, he also installed. But it does not work from something. From this I freeze at night and for some reason I remember my shore dog Chapa in winter in a hole in a hole. I’ll come home, I’ll update the box. Meteorologists promise a week later warming. Cyclone can not rave on the planet Earth all month long! There is also the law of heaven! I look at the open water of the bay and think about what the Lord does not bring to such a storm on the Sea. Today came a yacht with a broken mast. The Dutch are cheerful, as if it’s their fault to break the mast. They are all insured, you can and laugh. At the yacht forum discuss the topic “Old yachts and new yachts. Their advantages and disadvantages “But after filling a couple of pages, I flew to the yacht. What would be to see firsthand those advantages and disadvantages, about which so many wrote the defenders and opponents of the old yachts.